Check out this related Austin Forum event and this article. Ganesh Padmanabhan is the Vice President & Head of Global Business Development and Worldwide Marketing at CognitiveScale. He is passionate about bringing disruptive technologies to market and has established a track record of driving growth through corporate strategy, product and business development as well as marketing and sales for startups and Fortune 500 companies. 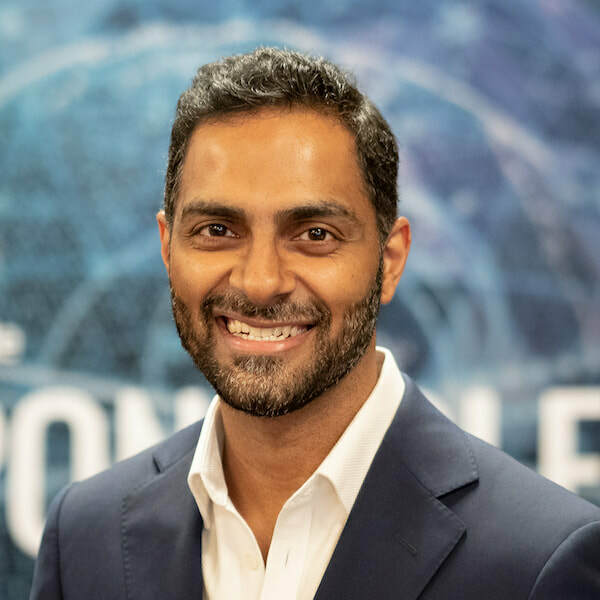 Before CognitiveScale, Ganesh spent more than a decade at Dell, later Dell EMC, where he held several leadership roles in corporate strategy, business development, sales, product management and marketing. Most recently, he served as Dell EMC’s General Manager of Worldwide Converged Solutions where he drove the group’s hyper-growth 5x trajectory, building a billion dollar solutions business in less than five years.Prior to Dell EMC, Ganesh held several engineering leadership roles at Intel and Adaptec, in North America and Asia. Luke Wilson has been involved in the research and development of parallel and distributed nature-inspired algorithms for more than 15 years, including using genetic algorithms, artificial immune systems, and artificial neural networks for efficiently solving complex scheduling, categorization, prediction, and design problems. Luke has published numerous scholarly works related to distributed computing and nature-inspired computing on parallel computers in various international conferences, journals, and textbooks, and was recognized as an ACM Heidelberg Laureate Forum Young Researcher for his dissertation research in 2014 focused on the development of self-organizing parallel software for fault-prone exascale supercomputers. Before joining the Dell Technologies team at Vizias, Luke was a research associate at the Texas Advanced Computing Center at The University of Texas at Austin developing high performance parallel and distributed software for large-scale clusters and helping users debug and optimize scientific research codes. Luke received his bachelor’s and master’s degrees in computer science from Texas A&M University-Corpus Christi in 2003 and 2008, and his Ph.D. in computer science in 2015 from the University of Texas at San Antonio. He is also the developer of the “Launcher” software utility which has been used by research computing centers around the world to efficiently parallelize sequential workloads on clusters and massively parallel processor computers.